If you would like to support yourself by trading, and yet be able to spend much of your time enjoying the things you like to do, then you should definitely look into futures spread trading! What is Spread Trading? - Click here to read about Spread Trading! By trading this spread, you could easily have made 933% on your margin in less than 30 days. What makes Futures Spread Trading such a profitable and easy way to trade? There is no stop running when trading spreads. It is not possible to use stops in a spread trade. Because you are long in one market and short in another, you have become invisible to and immune to "stop fishing." Spreads can considerably lessen the risk in trading compared with straight futures trading. Every spread is a hedge. Trading the difference between two contracts in an intramarket spread results in much lower risk to the trader. Spreads on futures normally require lower margins than any other form of trading, even lower than the margin requirements for option trading. The result is much greater efficiency in the use of your capital. It is not unusual to be able to trade 10 spreads putting up the same amount of margin as required for 1 outright futures position. Spread trades are less volatile than other forms of trading. They are considerably less volatile than share trading, option trading, or straight futures trading. In fact, it is because of such low volatility that margins for spreads are so low. Spreads typically trend more often, more steeply, and for a longer time than do other forms of trading. Since "the trend is your friend," spread trading is friendlier. Spreads trend because of something real taking place in the underlying fundamentals. They are not moved by market makers and market movers, who push markets to run the stops. Spreads create a more level playing field. Because there are no stops possible, spread trading is a purer form of trading. Joe Ross has been trading and investing for over 5 decades. 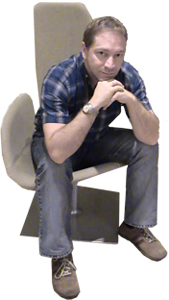 He is the creator of the Ross hook™ and has set new standards for low-risk trading with his concepts of The Law of Charts™ and the "Traders Trick Entry™. Spreads avoid problems associated with a lack of liquidity. You can trade in less liquid markets. Since you can trade where there is less liquidity, you have more trading opportunities than when not trading spreads. There is less concern with slippage. Spreads require less precise entries. Getting an exact fill becomes less important. Sadly, the whole truth of the benefits of spread trading has been kept secret from the public. Spreads in certain situations offer greater odds of winning, but never greater probabilities of losing. Receive a daily journal of high probability trades from Traders Notebook™! Spreads are an excellent way to trade seasonal tendencies. When traded seasonally, the percentage of wins against losses is high. Spreads enable you to take advantage of inverted markets. When a market is inverted, you have two possibilities to take profits – once when prices inverts, and again when prices return to a normal progression. 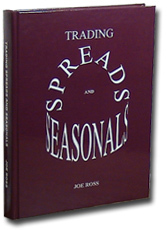 'Trading Spreads and Seasonals' has more in-depth analysis of Spread Trading than any other book! If you are looking for a trading style that is easy to trade, has very low margin requirements, and produces up to 10 times more return on margin than your current trading, then you should definitely learn more about futures spread trading. Get personal training online with Andy Jordan, one of the best spread traders in the world! Click here to Start Learning to Trade Spreads! Learn the finer details of trading from our three Master Traders in our free weekly newsletter, Chart Scan, along with immediate access to our free Members Only area. 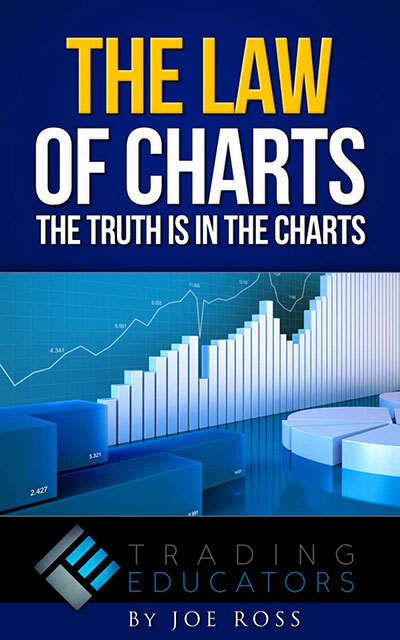 Once signed-up, read about the Law of Charts™ (TLOC) & Traders Trick Entry (TTE), interact in our trading forum, and much more!